Recently a friend came to visit me and I proudly led her to the back of the yard to see my six beautiful hens in their secure coop. Instead of admiring them, she was dismayed because “They’re so crowded.” I must admit that I was floored. I have six hens in a 4 foot by 7 foot coop, with lots of headroom and high perches, and I think my chickens have it good. Upon questioning, it was clear that she buys her chickens and eggs from the grocery store and has no idea what conditions in a commercial chicken operation are like. So here are some images to ponder: In the best possible commercial set-up, laying hens would have a square foot per bird. That means 28 chickens in my coop instead of six. 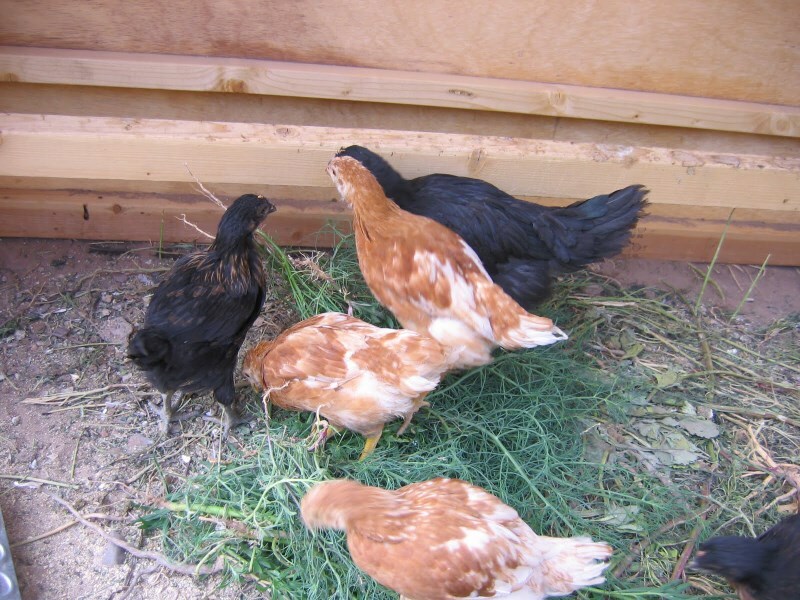 More likely, there would be 4 hens for every 3 square feet, or 36 birds in my coop. Up to 42 hens would be in it in some operations, and they would be in cages no more than a foot high, often less, so that the hens couldn’t even straighten out their necks, but stacking the cages would enable 5 layers of birds to be kept in my 28 square feet, or up to 210 birds total, since my coop is 5 feet high. Broiler chickens are even more crowded, if you can imagine such a thing, and the stench is hellish. I refuse to discuss the slaughter practices, because I don’t care to remind myself. When I had my sheep farm , I lived near a broiler operation, and I didn’t eat chicken again for years. If you comfort yourself by buying “free range” chicken, think again; a 20′ X 20′ yard may be the “range” for a barn holding 20,000 to 30,000 chickens. If you want to be realistic about commercial farming practices, I urge you to read Michael Pollan’s best book The Omnivore’s Dilemma. Be aware that, by the end, you will feel driven to change your habits if you haven’t already. All too often, people refuse to think about where their meat comes from and how it’s killed for a simple reason; they would have to drastically change their eating habits if they let themselves acknowledge what goes on in standard CAFO operations. I don’t care to perpetuate such cruelties, and so I am starting my own laying flock and I get my meat chicken from Pollo Real at the Santa Fe farmers’ market. They are a pasture operation, which means that the chickens are kept on pasture in “yurts” which are moved frequently. They are fed grain and they eat plants, insects, and all the things that chicken should eat. They have plenty of room. They re slaughtered on the farm, quickly and humanely. They cost a lot more than supermarket chicken, and they should. They are better for you and yours, better for the chickens, and better for the planet. Paying more makes us realize that we have to pay to support humane farming practices, and that meat should be a pleasant addition to a meal rather than the center of it. Better ethics and a better dinner; this is well worth an occasional trip to Santa Fe with a cooler, or look for Pollo Real chicken at La Montanita Co-op. Once you have some, there are a million ways to cook it, but here’s a simple favorite: just rub it with a paste made from a few clove of fresh garlic, a teaspoon of salt for every pound of chicken, a tablespoon of Spanish Pimenton de la Vera or smoked paprika, the juice of half a lemon, and enough olive oil to make a paste. Grill it over a low fire until done to your taste, brushing with any leftover paste. 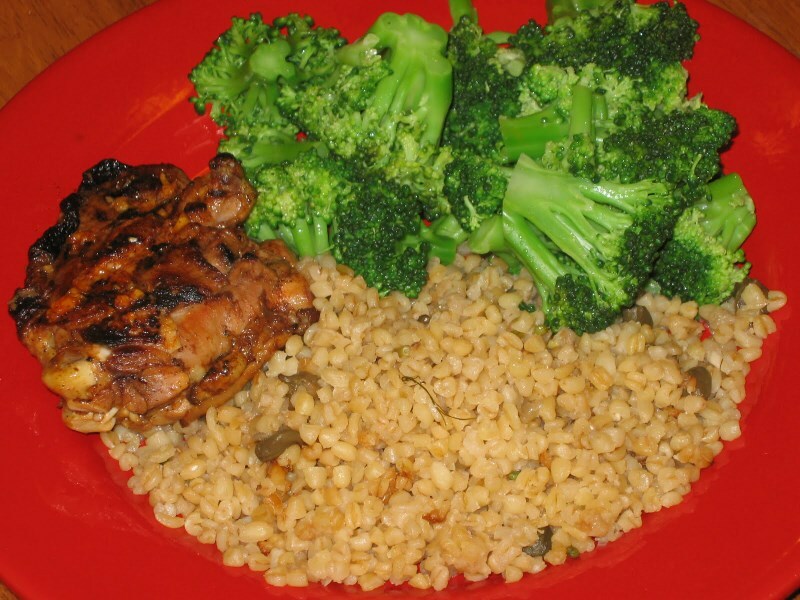 Serve with lots of vegetables and whole grains. Sleep like a baby. And, just for fun, here’s my own chicken flock.